This weekend was greeted with much anticipation. And with coffee (for me). 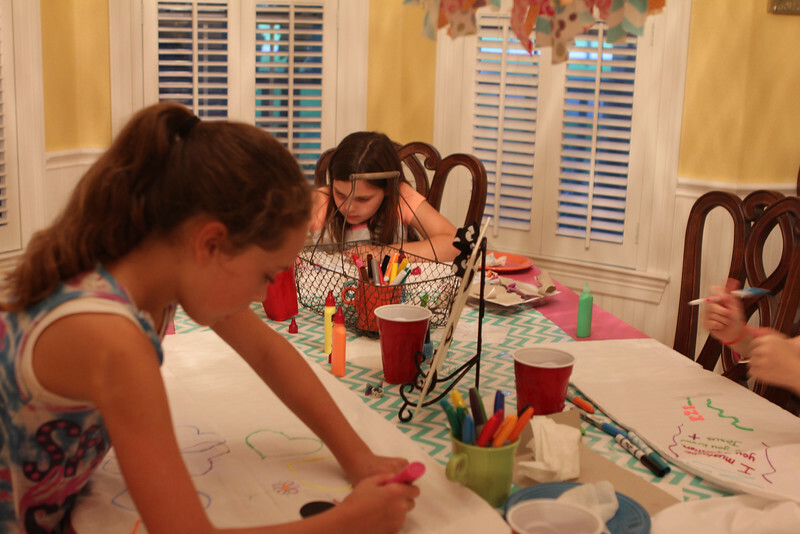 We celebrated Annelise's birthday (again) with a slumber party Friday night. Do they still call them that? Okay, sleepover. Whichever. She invited four girls from school and three were able to come, which made a total of four tween-y girls taking over our house for approximately 15 hours. 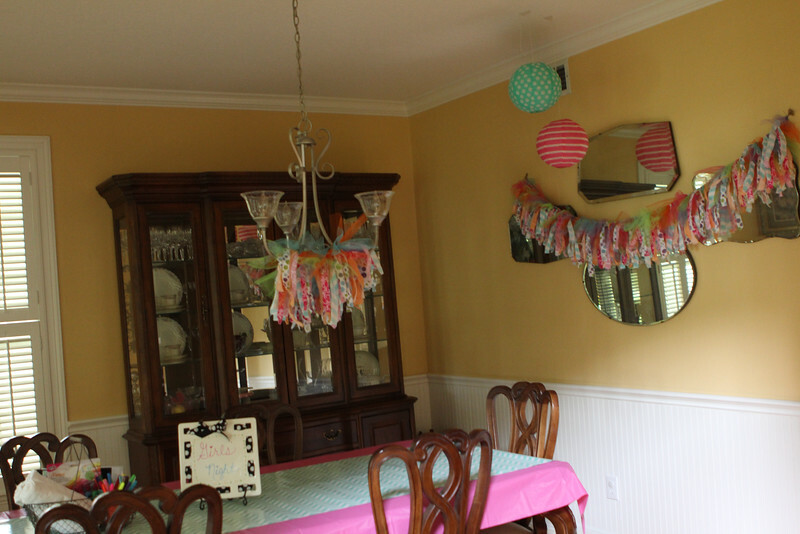 She didn't have a *theme*, just a few favorite colors, so we kept things simple with the decor. Of course, with me being me, I decided I absolutely had to make a fabric garland the night before, because I am timely like that. I think it turned out cute. In fact, I really don't plan on taking it down any time soon. 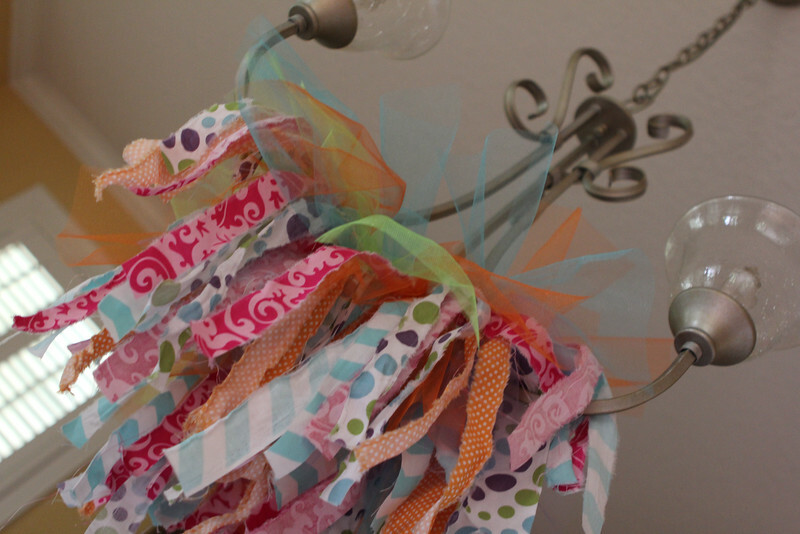 I even had enough strips left over to make a flouff for the light fixture. The lanterns were a bit iffy, I didn't really know where to hang them, so there they stayed, well, except for the handful of times they fell down because they were expertly hung in front of an air vent. 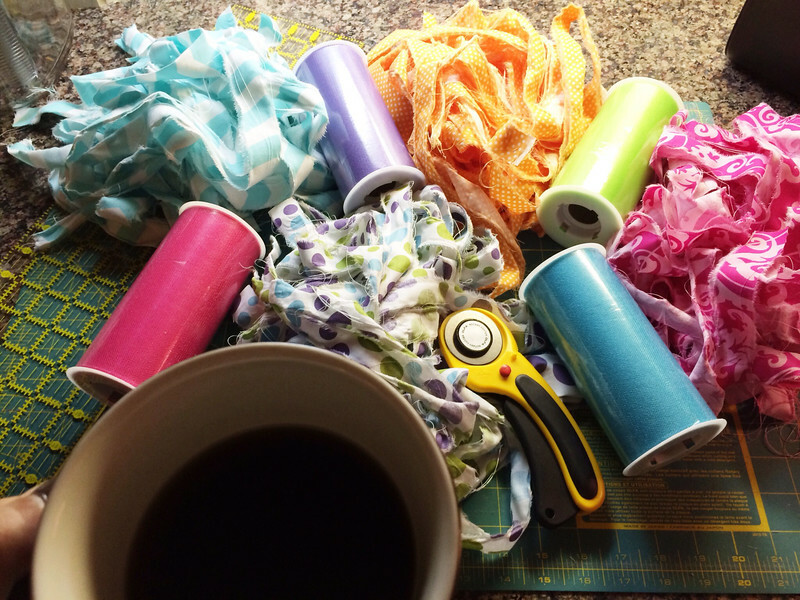 I covered the table with a plastic table cloth and then used a roll of wrapping paper as a runner to add a bit of pizazz down the middle. We used our Fiesta dishes instead of paper goods, because Fiesta is always a good idea. 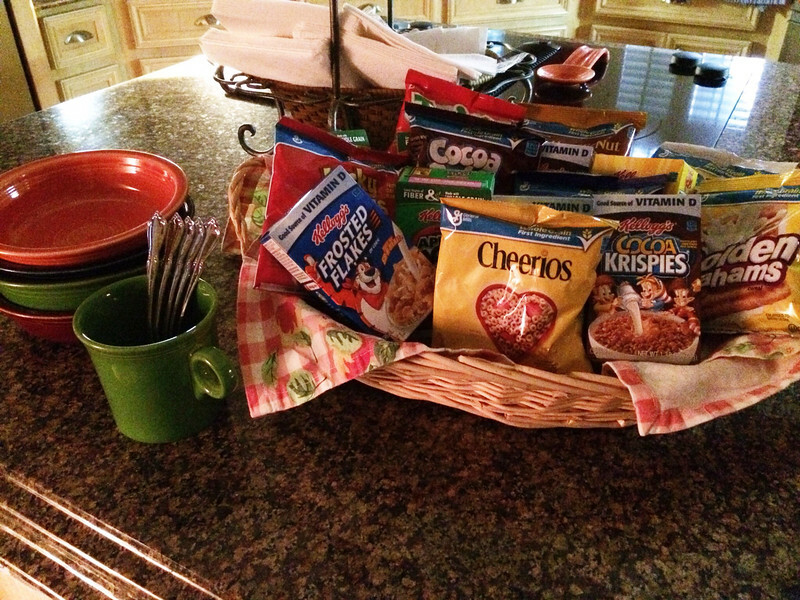 This was our first time to host a sleepover (ack! ), so I was kind of winging it to the best of my limited ability. We planned a few activities and had a loose schedule and kept our fingers crossed. 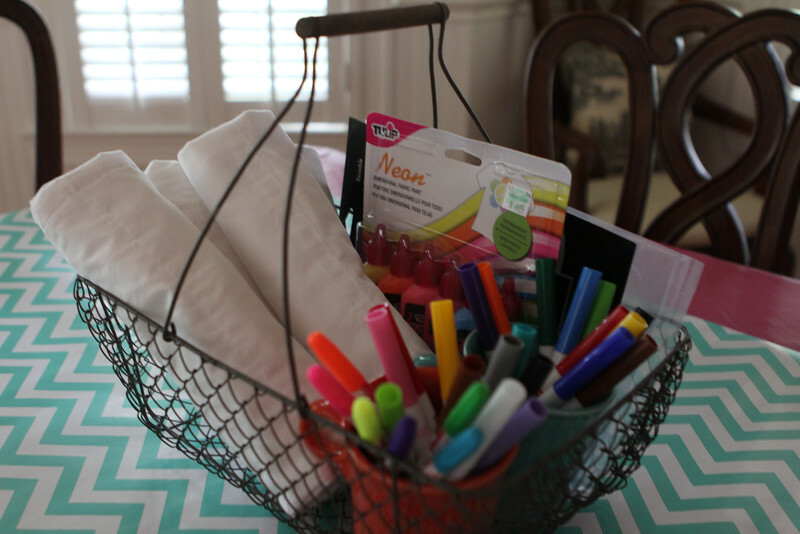 One of the activities was decorating pillowcases, so I had everything for that bundled up in a cute wire basket (picked up on our recent girls' trip, stay tuned for that). 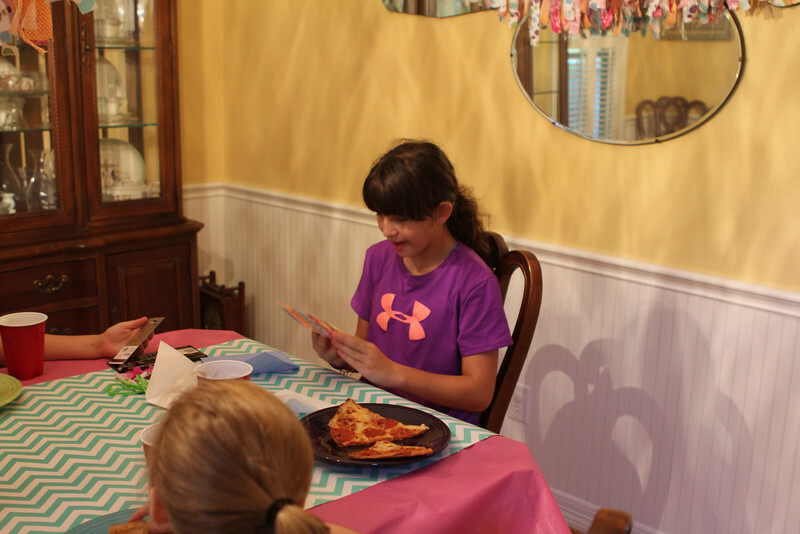 After the girls arrived and played for a bit we gathered them in for pizza, which served as the ideal time for Annelise to open her presents because they were sitting right. there. on the dining room table and she couldn't wait a minute longer. Her sweet friends spoiled her with gift cards and fun treats from Justice. She was over the moon excited, of course. 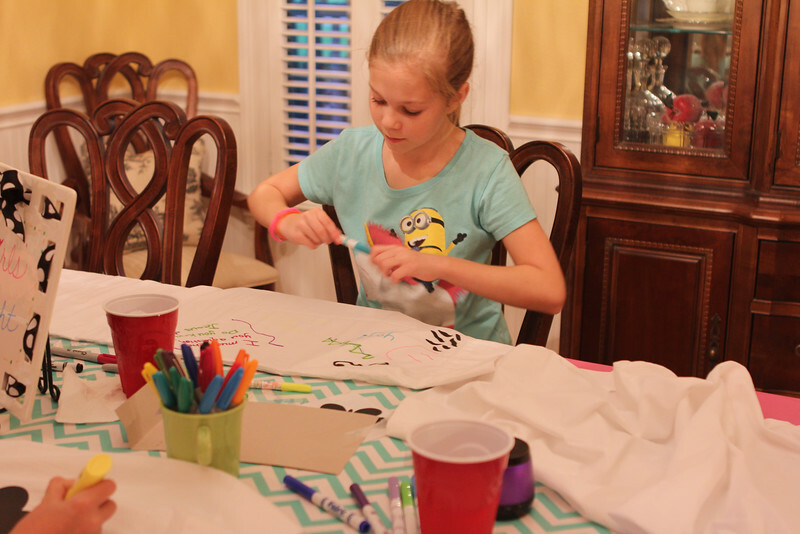 After pizza they started in on decorating their pillowcases while jamming to some tunes. Everything started out smoothly with the markers and stencils. Then they broke out the slick paint, which in my mind (ha!) would be used for outlining their stencil creations. And they did some of that. Then one free spirit decided to try her hand(s) at fingerpainting resist and another little free spirit followed in her footsteps, er, handprints and their pillowcases quickly took on an abstract flair. It was fine, no major messes or anything, it just wasn't turning out how I imagined it, but that's okay. Annelise lost interest in hers about 1/4 of the way, her plan of making rainbow bursts at all four corners with the goal of them meeting in the middle was quickly abandoned. 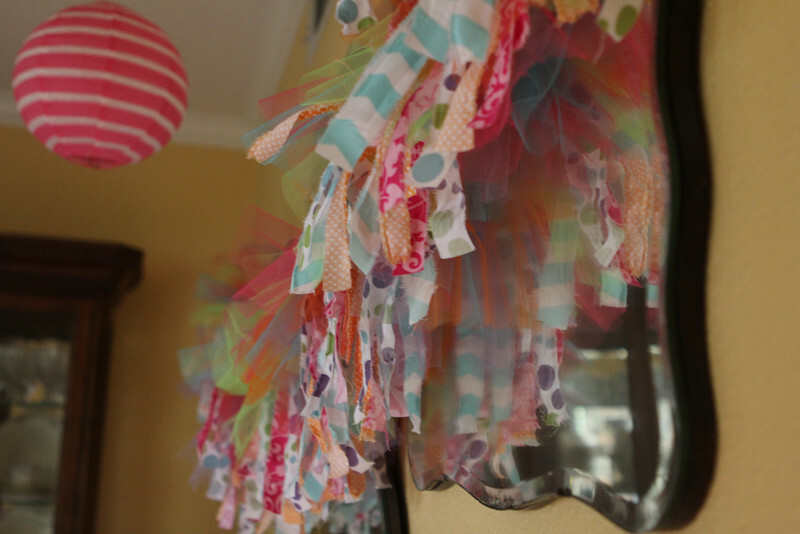 Another little girl pluckily finished her creation amidst all of the silliness surrounding her. After we cleaned up and washed hands (some hand washing took much more effort than others, ahem) we played a version of Toss and Talk with a beach ball that I had written different questions and challenges on. They seemed to like that game, based on their giggles, but it went faster than I had thought. 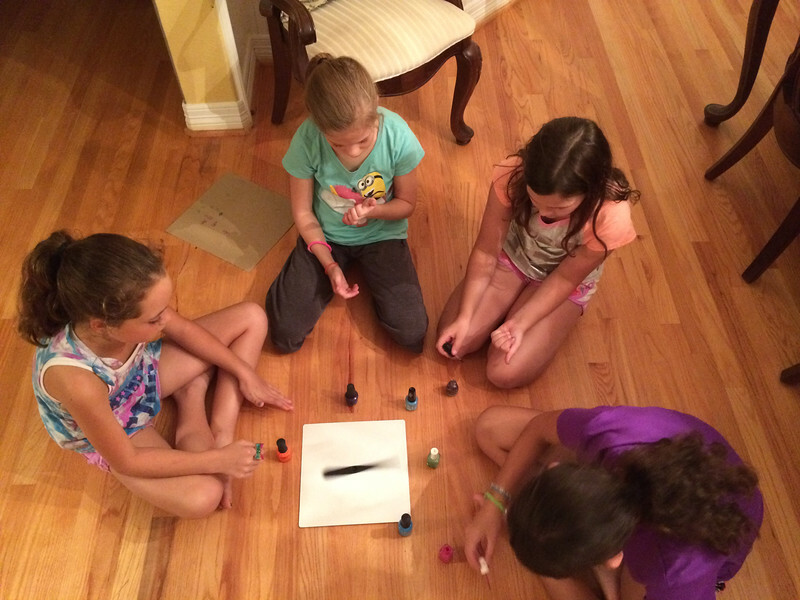 The last planned activity was Spin the Bottle with nail polish, which they only semi-liked. What? By 9:00 all of our planned activities were a memory but they managed to busy themselves upstairs with lots of Nerf battles. And such. Scott kept asking if it was normal for there to be so much noise from only four girls. Later, they made their own ice cream sundaes and watched a movie, Despicable Me 2, except they didn't really ever settle down to watch it. After the ice cream there was a brief drama resulting from unrepentant Nerf shooting and a bit of pairing off (I didn't think that was supposed to happen with an even number!) followed by tears (only from my daughter, thank goodness). Thankfully the drama was short lived and soon all four were back together up to something else. A big bowl of popcorn can cure most ills. Around 11:30 I went up to give the 30 minute warning (ha!) and found myself scooting around on my knees picking up popcorn off the bedroom floor while they prepped themselves for an upcoming music video recording (they had a backdrop and everything). A little after midnight I went back up to get them to lay their sleeping bags out and settle down for the night. I don't know how sleepovers usually go, since this was our first, but I felt obligated to at least remind them to brush their teeth and lie down. Earlier, one of the girls had taken a shower but the other three, mine included, ignored my mention of that activity (I even set our extra towels and washcloths!). I hope their parents didn't expect them to, you know, bathe, I mean, I did try, but I felt like I was fighting a losing battle, so one out of four isn't too bad I guess. Just so you know, I never really slept that night. And three out of four girls barely did either (the responsible one that took a shower and brushed her teeth actually slept all night--no it was not my daughter). My mind kept swirling with crazy thoughts and worries that someone would get sick in the middle of the night or I'd wake up to find one of the girls by my bed holding a knife. After a while things got quiet upstairs (yay!) but then around 3:30 I woke up (I guess I had dozed off in between neurotic musings) to voices and stealthy movements above me. I busted three out of the four (guess which ones) on their iPads/iPods playing Minecraft. Call me Lame Mom but I forcefully whispered that all i-things had to be off and they had to get some sleep. I know, I am no fun. But at almost 4:00 in the morning I'm kind of done. Saturday morning the girls enjoyed a breakfast of pigs in blanket and their pick of sugar-y cereal and then it was time to pack up and be picked up. 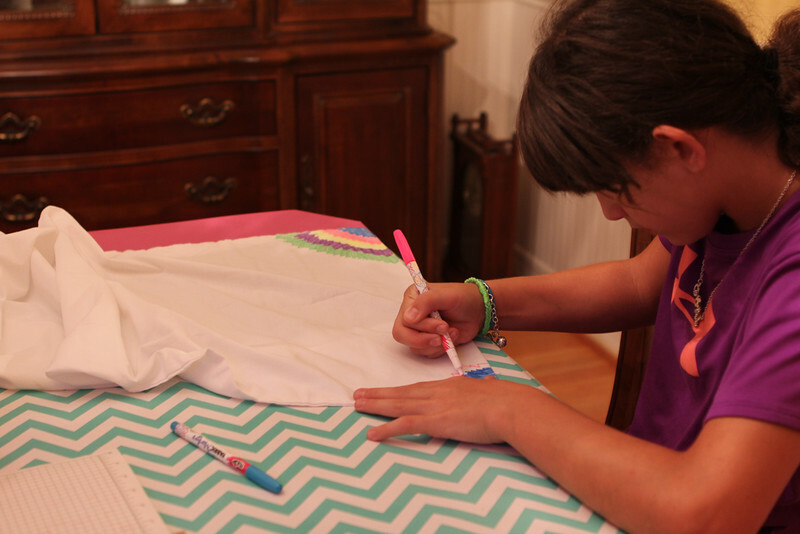 Annelise declared it the best sleepover birthday party ever. 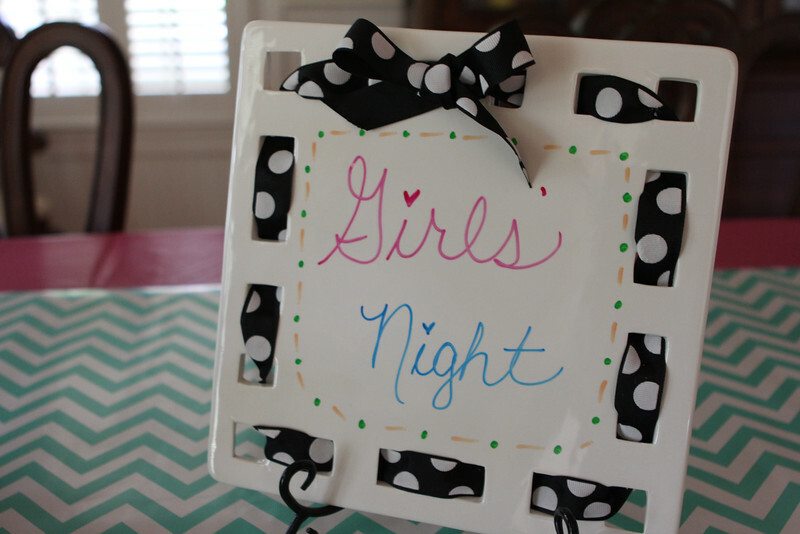 I have 4 girls of my own so every night is a sleepover...ha :) I am the mom who just leaves them be. Little supervision unless I hear a big thud or complete silence.... either of which could be trouble. Hope you recovered from the long night! Thanks Penny! It took a few days to feel like myself again--late nights/no sleep really mess with me. I remind Griffin and his friends to brush teeth but they don't and I can recall only one time when they ever took showers at a sleepover and it was because I made them after football practice. Then his friend put the dirty football practice clothes back on after showering! He has one friend who always arrives without an overnight bag-- no toothbrush, nothing, because as he puts it, he wouldn't be using any of it anyway. I try to stay out of it with Luci when she has friends over but 2 weeks ago she had 3 friends sleep over after they went to a high school football game and I did "encourage" showers by leaving out a stack of towels and washcloths. We tend to have the same ole rotation of friends that stay over (which is how I like it) so they don't usually stay up past midnight and basically they seem to just eat and watch tv/play electronics. Thanks for the tips Natasha! I had planned a few things since it was for her birthday but if sleepovers become more regular I think we'll just be go with the flow/hang out. I keep laughing about the finding a girl by your bed with a knife comment! Too funny! As a boy mom, I'm hoping I won't have to deal with sleepovers! I know, I have crazy, irrational thoughts sometimes! Oh that sounds like a busy weekend. I hope you enjoyed this party. I am party freak and usually attend the late night parties at local party venues in Chicago so all these things never bother me.